Russia and its International Space Station (ISS) partners have prudently decided to postpone the scheduled upcoming crew rotations, involving departures and launches of station crews, in the wake of the failure of the Russian Progress 59 freighter that spun out of control soon after blastoff on April 28 and was destroyed during an uncontrolled plummet back to Earth on Friday, May 8. The schedule shifting, whose possibility was reported here over the weekend and confirmed on Tuesday, May 12 by NASA and Roscosmos, literally came barely a day before the planned return to Earth on Wednesday, May 13 of the three person crew comprising of NASA astronaut and current station commander Terry Virts and flight engineers Samantha Cristoforetti of ESA (European Space Agency) and Anton Shkaplerov of Roscosmos. The trio have been working and living aboard the complex since November 2014. The return of Virts, Cristoforetti and Shkaplerov is now targeted for early June, according to official statements from NASA, ESA and Roscosmos, the Russian space agency. That’s about a month later than the originally planned 171 day mission, in the wake of the failed Progress cargo ship that burned up on reentry. Although an exact date has not been specified, sources indicate a tentative return target of around June 11. If that new return date holds, ESA’s Samantha Cristoforetti will become the woman to fly the longest in space, eclipsing the current record holder, NASA astronaut Sunita Williams. Blastoff of their replacement crew on the next planned manned Soyuz launch on May 26 from the Baikonur Cosmodrome in Kazakhstan has also been delayed, for about two months most likely to late July. That Expedition 44 crew comprises Russian cosmonaut Oleg Kononenko, Japanese astronaut Kimiya Yui and NASA astronaut Kjell Lindgren. 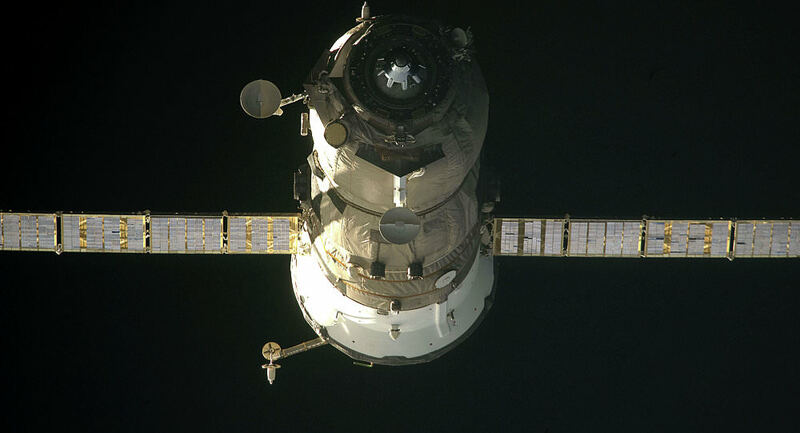 A rotating international crew of six astronauts and cosmonauts currently serve aboard the ISS. The delayed return of Virts crew from Expedition 43 will lessen the time when the ISS is staffed by a reduced crew of three, which significantly dampens the time allotted to science research. A Russian state commission investigation board appointed by Roscosmos, is still seeking to determine the cause of the Progress 59 malfunction which occurred right around the time of the separation from its Soyuz-2.1A carrier rockets third stage following blastoff from the Baikonur space center in Kazakhstan. A preliminary accident report from the state commission was planned for May 13. But investigators need more time to determine the root cause of the Progress 59 (also known as Progress M-27M) mishap. Roscosmos is also working to speed up the launch of the next unmanned Progress 60 (M-28M), potentially from August to early July. But that hinges on the outcome of the state commission investigation. NASA officials say that the current ISS Expedition 43 six person crew is in no danger. The station has sufficient supplies to last until at least the fall of 2015, even if no other supplies arrive in the meantime. Also in the mix is the launch of NASA’s next contracted unmanned Dragon cargo mission by commercial provider SpaceX on the CRS-7 flight. 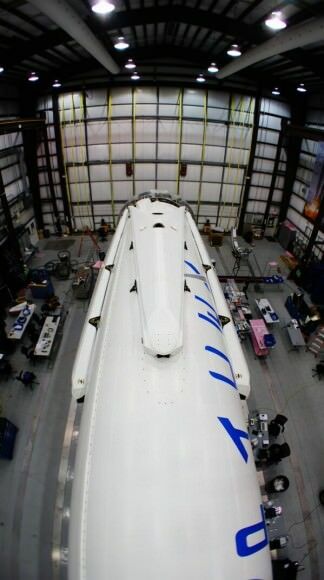 Dragon CRS-7 had been slated for liftoff no earlier than June 19. But that date could slip as well. SpaceX Falcon 9 erect at Cape Canaveral launch pad 40 awaiting launch on Sept 20, 2014 on the CRS-4 mission. KENNEDY SPACE CENTER, FL – SpaceX is on the cusp of launching the company’s fourth commercial resupply Dragon spacecraft mission to the International Space Station (ISS) shortly after midnight, Saturday, Sept. 20, 2014, continuing a rapid fire launch pace and carrying NASA’s first research payload – RapidScat – aimed at conducting Earth science from the stations exterior. 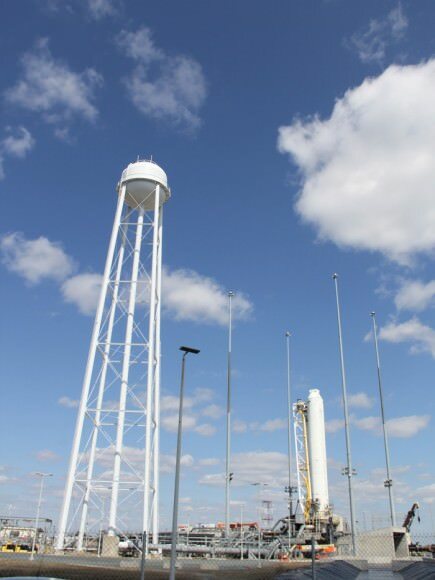 Final preparations for the launch are underway right now at the Cape Canaveral launch pad with the stowage of sensitive late load items including a specially designed rodent habitat housing 20 mice. 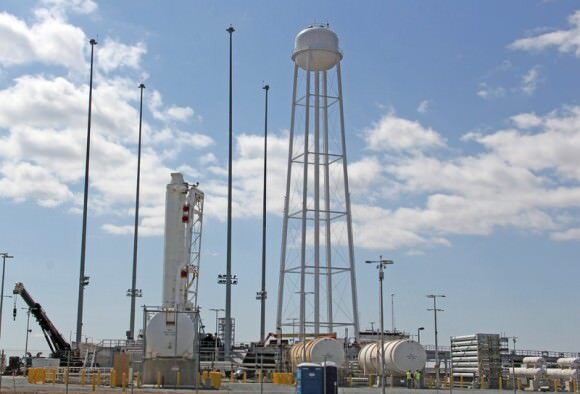 Update 20 Sept: Poor weather scrubs launch to Sept. 21 at 1:52 a.m.
Fueling of the two stage rocket with liquid oxygen and kerosene propellants commences in the evening prior to launch. If all goes well, Saturday’s launch of a SpaceX Falcon 9 rocket would be the second in less than two weeks, and the fourth over the past ten weeks. The last Falcon 9 successfully launched the AsiaSat 6 commercial telecom satellite on Sept. 7 – detailed here. “We are ready to go,” said Hans Koenigsmann, SpaceX vice president of mission assurance, at a media briefing at the Kennedy Space Center today, Sept. 19. Liftoff of the SpaceX Falcon 9 rocket on the CRS-4 mission bound for the ISS is targeted for an instantaneous window at 2:14 a.m. EDT from Space Launch Complex 40 at Cape Canaveral Air Force Station in Florida at the moment Earth’s rotation puts Cape Canaveral in the flight path of the ISS. The weather forecast is marginal at 50/50 with rain showers and thick clouds as the primary concerns currently impacting the launch site. The Dragon spacecraft is loaded with more than 5,000 pounds of science experiments, spare parts, crew provisions, food, clothing and supplies to the six person crews living and working aboard the ISS soaring in low Earth orbit under NASA’s Commercial Resupply Services (CRS) contract. The CRS-4 missions marks the start of a new era in Earth science. The truck of the Dragon is loaded Dragon with the $30 Million ISS-Rapid Scatterometer to monitor ocean surface wind speed and direction. RapidScat is NASA’s first research payload aimed at conducting Earth science from the stations exterior. The stations robot arm will pluck RapidScat out of the truck and attach it to an Earth-facing point on the exterior trusswork of ESA’s Columbus science module. Dragon will also carry the first 3-D printer to space for studies by the astronaut crews over at least two years. The science experiments and technology demonstrations alone amount too over 1644 pounds (746 kg) and will support 255 science and research investigations that will occur during the station’s Expeditions 41 and 42 for US investigations as well as for JAXA and ESA. “This flight shows the breadth of ISS as a research platform, and we’re seeing the maturity of ISS for that,” NASA Chief Scientist Ellen Stofan said during a prelaunch news conference held today, Friday, Sept. 19 at NASA’s Kennedy Space Center. After a two day chase, Dragon will be grappled and berth at an Earth-facing port on the stations Harmony module. The Space CRS-4 mission marks the company’s fourth resupply mission to the ISS under a $1.6 Billion contract with NASA to deliver 20,000 kg (44,000 pounds) of cargo to the ISS during a dozen Dragon cargo spacecraft flights through 2016. This week, SpaceX was also awarded a NASA contact to build a manned version of the Dragon dubbed V2 that will ferry astronauts crews to the ISS starting as soon as 2017. NASA also awarded a second contact to Boeing to develop the CST-100 astronaut ‘space taxi’ to end the nation’s sole source reliance on Russia for astronaut launches in 2017.